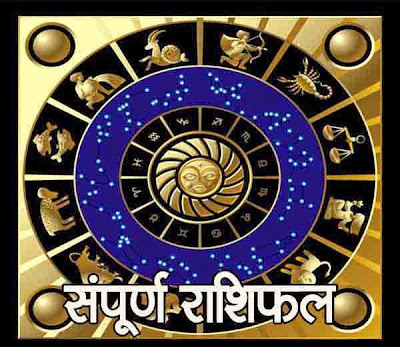 The Month July, 2016 is about to start and all the people are eager to know their monthly astrology prediction for each zodiac sign. For all the visitor of astro upay, here is the monthly prediction for all zodiac sign (as per moon sign) for the month July 2016. Aries: Auspicious things will happen in your life. Natives who are in jobs will get promotion. However, this might create tension with competitors. Profits will blossom in professional life and income will increase. Long journey is also possible. Ideological differences with elder siblings and seniors are possible. Mutual coordination might lack in your married life. Possibility of meeting your friends is there. It is advisable not to invest money in shares or betting and be careful in business matters. Wearing six faced Rudraksha is needed to get relief from the impact of Shani Dhayya. Taurus: You will make better plans at work front. This will help you in remaining unaffected by your enemies. Being careful in stock market can save you from many problems. Health needs to be taken care of this month. Expenses are foreseen on health and medicines. Financial conditions may remain a bit weak this month. Lack of confidence, energy and interest might lead to reduction in income. Be careful, as it might affect your savings. Establish Rahu Yantra at place of worship and worship it regularly. Gemini: This month will give you relief from all the health issues. Your will power might also as the month commence. Don’t let fatigue attack you. Try to stay away from mental stress and domestic problems. Expenses are possible on journeys. Try your best to maintain harmony in family life by resolving all the differences. Family issues might affect your performance at work front. Conjugal life will take your time. Spouse will provide help in the mid of the month. Offer water to Peeple tree on Saturdays. Cancer: Month is favorable for increments in your income. You might take loan in order to complete your business events. You might find yourself in trouble due to incompletion of your work. Keep yourself away from unnecessarily showing off your power and authority. You might use your personal contacts to complete your official works this month. Stay careful while trusting your subordinates. You must fetch some time out of your daily chores and donate some more time to your leadership qualities. Using your powers and authority might also affect your reputation. Starts wearing one face Rudraksha. Leo: You will try to improve your relations with friends. In the initial days, it would be easy to take business related debt. Luck might not support much, so believe in your actions only, for completing all your works. Your confidence might also decrease a bit, due to which some problems might come at work. The desired efforts can decrease the problems, even in the opposite times. Your workload is likely to increase and works might also take more time to complete. Eight faced Rudraksha is considered best for eliminating the bad effects of Rahu. Virgo: You might fall in disputes related to work or family during the beginning of this month. Do not take any important decisions during this period. Do not take part in any kind of strife’s. Avoid indulging into any quarrels with your parents. Time is crucial for showing off your skills at work. Stay alert as your opponents might try to bother you. Some tensions might also arise with your spouse. Stay calm this month. Do not invest money before taking proper advices. Wear ten faces Rudraksha to wave off all troubles in your life. Libra: Think twice before you take any step. You may get aggressive and insistence this month. Try to maintain flexibility in your decisions. It is always good to give a second thought on what your friends and relatives are saying to you. You might get proud during the middle of this month. You must make yourself comfortable in all the situations. You might get more addicted to alcohol or other drugs, which may be the reason of your poor health. Worshiping Goddess Saraswati might give you positive outcomes, especially to gain mental peace. Scorpio: Profits and benefits will come to those who will do hard work. You might get success in reaching your goals with your calm attitude. You might have to perform well even in some unfavorable situations. You are quite capable and do not possess any shortcomings in yourself. Being careful from your enemies might prove beneficial for you. Things might start falling on their places during the later part of the month. Your profits will also increase. Time is very crucial for you. Reciting Ganesha Stuti might prove beneficial for you. Sagittarius: This month will bring increment in your income. To accomplish important works related to business, you might take a loan. Your powerful contacts will help you in completing majority of your works. Workload will increase and you will try to complete everything in the assigned deadline. Your juniors might go against you and enemies might try to harm your reputation. Profits are possible from short journeys. Throwing a look at your family life, things look as usual. Starts wearing one face Rudraksha. Capricorn: Before doing anything, think carefully think wisely. You are expected to turn short tempered. Try to increase your thinking zone and look out ways to improve every aspect of your life. Don’t just listen and execute things others say, but use your own intellect too. Mid of the month might turn you into selfish and egoistic soul. Alcohol and junkies will attract you making you obese. Job front might appear dull and you might feel lack of growth in your current job. Worship Maa Saraswati to increase your knowledge and gain mental peace and relaxation. Aquarius: Work hard to get the best this month. In other words, smart work will bring recognition; while lazy work will lower your graph. July will bring challenges in life, which you can overcome with that never dying spirit of yours. An increase in number of your enemies is possible. Don’t panic as things will get back to normal in the second half of this month. You will get guidance from powerful people; make sure make this opportunity your one of the best opportunities of life. Ward off problems of your life by reading Shani Strot. Pisces: Your focus will shift on improving your financial life. Luck will support you in this matter. There will be a great rise in your confidence and energy which will do wonders for every aspect of your life. Work responsibilities will increase this month. Owing to increase in workload, you will not enough time to relax and sleep. However, try giving proper rest to your body; else your health will fall down. Partnership works will bring rewards. Servicemen will enjoy name & fame at work. Wearing Rudraksha will bring bliss, luck, prosperity and wealth.